Nuclear medicine is a specialized medical field based on the application of radiopharmaceuticals, i.e. drugs associated to radioactivity, for diagnosis or therapeutic purposes. In the past fifty years, nuclear medicine has progressed in such a way that it is now a major tool in hospitals. Nowadays, this technology enables to better detect, observe and describe diseases, and also to improve treatments. Cancer therapy is the main application of this speciality. Once injected to the patient, the radiopharmaceutical drug aims selectively at the tumoral cells, including the metastases, settles there and emits radiation. Depending on the type of radiation, the drug will either help to identify the cells or to destroy them. Recent breakthroughs in this technology bring new perspectives to oncology, haematology and neurology. At the same time, since the beginning of the 21st century nuclear medicine has also benefited from a double revolution in terms of imaging technology. On the one hand, the Positron Emission Tomography (PET) made a real impact with a polyvalent imaging drug called FDG. On the other hand, a new tool combining functional and morphological imaging (PET-CT) was very recently made available to the medical community. 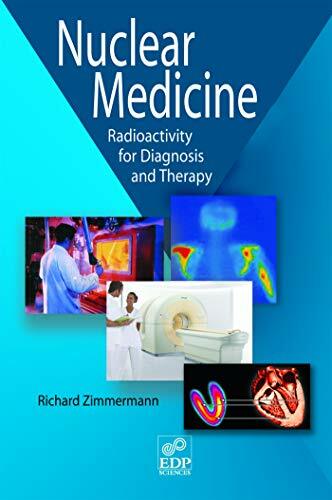 This scientific book aims to introduce nuclear medicine to a larger audience, pointing out, among other things, the difficulties both physicians and patients meet when trying to access new technologies. There are still some issues to overcome, but recent scientific breakthroughs bring great hopes for patients in the near future.